Enjoy a perfectly maintained garden! 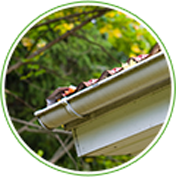 Keep your trees healthy and under control! Keep your patio & outdoors spotless with jet power! Tree Surgery: Tree pruning, shaping, cutting, stump removal. Applies to trees from 15 to 65 ft.
Jet Washing: Pressure stream cleaning of driveways, patios and other outdoor hard surfaces. A wide range of professional gardening services such as garden maintenance, pressure washing and gutter cleaning. Special prices if you combine two or more services such as lawn care and garden clean up. Experienced gardening specialists who are also equipped and capable to carry out tree surgery. You do not have to be there for the service, just make sure to provide access to your garden. 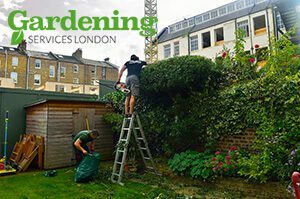 Book Your Gardening London Service Quick & Easy! 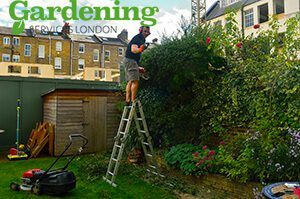 Take advantage of our competitive gardening rates and some of the best gardeners in Croydon, Hackney, Harrow, Walthamstow, Ealing, Clapham and all the rest of the London areas. You can also find us outside of the British capital, such as Oxford, Reading and a lot of other cities. Our service is hourly-based. Call our 24/7 customer centre on 020 3746 2449 to make a booking or use our Request-a-Quote form.